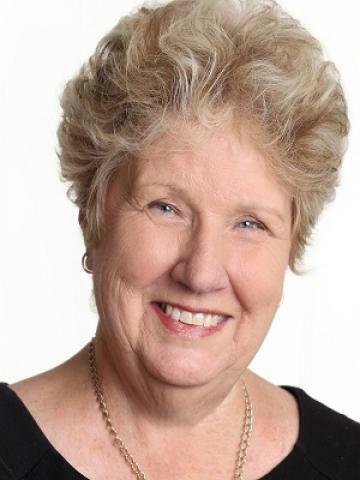 Brenda Millan commenced her real estate career in 1978 and is one of the longest serving real estate agents on the Sunshine Coast. Opening her own business in Inner city Wilston in 1990, this was until Brenda decided on a lifestyle change and moved to the Sunshine Coast in 1997 but has continued to work as a licensed real estate agent working with Greg Young and Kevin Annetts at Ray White Mooloolaba on changing their franchise to Henzells Central Sunshine Coast. Brenda has resided in Mooloolaba since 1997 and is a dedicated sales professional with excellent knowledge of the local area and market. Brenda is a founding member of the Kevin Annetts Property team commencing with Kevin in his new office right on the front of Mooloolaba Esplanade. Her results speak for themselves—outstanding results, satisfied clients a wealth of knowledge for the local real estate market. Brenda has a strong work ethic and her repeat clients prove this as with their business and referral of friends, after 40 years in the same industry. On a personal note Brenda is a proud mother of two sons and a daughter plus three granddaughters and a grandson. Chris recently retired living in Brisbane and Cooroy Mountain. Craig is living in London is the CEO of the Royal Albert Hall. Simone and her children Nathan and Eva live in Sydney. Brenda’s two eldest granddaughters Annabelle is an Engineer with BHP living in Singapore and Rosie is a CPA working for Deloitte’s in Sydney. Consider this home your own private oasis, in the middle of Mooloolaba. Situated in a quiet location adjoining parkland, which assures your privacy, this home is an easy stroll to Mooloolaba and Alexandra Headland beaches and cafes. Featuring 4 generous sized bedrooms, and ensuite, there is also an added bonus of a study. You will find the living is easy here with 2 living areas, modern kitchen, large laundry, plenty of storage, all on a large 752m2 level block. For the parents, you can relax in style with a large outdoor (approx. 40m2) entertaining area featuring an oversized Bali hut, whilst overlooking the pool and looking out on to the park behind. For the kids there is the pool, with an added spa and plenty of grassy area to fit in the trampoline, or as the previous owners had, a skate ramp! There is space for both cars with a double lock-up garage, also with extra storage area. Properties of this calibre rarely become available in this location. This home definitely represents an ideal lifestyle to the astute buyer, don’t miss out on this special home and opportunity to put your own stamp on it, inspect today. Consider this home your own private oasis, in the middle of Mooloolaba. Situated in a quiet location adjoining parkland, which assures your privacy, this home is an easy stroll to Mooloolaba and Alexandra Headland beaches and cafes. Featuring 4 generous sized bedrooms, and ensuite, there is also an added bonus of a study. You will find the living is easy here with 2 living areas, modern kitchen, large laundry, plenty of storage, all on a large 752m2 level block. For the parents, you can relax in style with a large outdoor (approx. 40m2) entertaining area featuring an oversized Bali hut, whilst overlooking the pool and looking out on to the park behind. For the kids there is the pool, with an added spa and plenty of grassy area to fit in the trampoline, or as the previous owners had, a skate ramp! There is space for both cars with a double lock-up garage, also with extra storage area. ABSOLUTE WATERFRONT - FIRST TIME TO MARKET IN 36 YEARS ! Buyers seeking a premium Mooloolaba location as well as low maintenance living absolutely MUST inspect this apartment first time to the market in 36 years. This tightly held apartment on the top floor of "Leone Lodge", an established complex with an absolute waterfront position; casual living in a special pocket of Mooloolaba with surrounding streets showcasing prestige canal front homes. Features three bedrooms, two bathrooms, kitchen, open plan living and dining, opening to alfresco timber deck to enjoy gentle breezes and delightful water views, lock up garage with tandem covered storage for boat, bikes, canoes etc., access to a private boat ramp and all in a boutique complex of only eight apartments ( Only 6 have water views). Light and airy throughout with a soft, neutral colour scheme, this unit is original leaving a clean slate for you to add your own stamp of individuality but has a very calming and relaxed ambiance that is extremely welcoming and warm. Designed and built to embrace the waterfront position and an easterly aspect; this apartment would suit downsizers, couples or even investors seeking a prime location for that weekend retreat. The location couldn't be more convenient with three major arterial routes just seconds away. Sunshine Motorway, Brisbane Road, and Nicklin Way all connecting you to major amenities. Mooloolaba Beach and Esplanade can be walked or cycled to from here, and it's an easy flat walk all the way or a short distance to Kawana Shopping World and Cinema; Inspection a Must will not be disappointed. Superbly positioned with perfect North/East aspect and right on the water and only 500 meters to the beach this home is situated on 847M2 block has loads of potential with large frontage to the water. Large blocks like this close to all Mooloolaba has to offer plus the beach are rare in todays market. Upstairs is split with three bedroom and bathroom up a small staircase from the kitchen, lounge and closed in front veranda over looking the water. Downstairs has study and second toilet and fully tiled rumpus areas perfect for the family to relax. This property offers an excellent opportunity to renovate to your own design with room for you to design your own pool, plenty of off street parking and so close to everything plus restaurants just outside your front gate leave the car at home. Inspection of this home will not disappoint phone today for an appointment. SPACIOUS FAMILY HOME - EASY ACCESS TO EVERYTHING ! Positioned in a quiet location, this home will cater to a wide range of buyers. Peaceful and private, yet only minutes to the local shops, beaches and the much sought after Mountain Creek schools. This property offers further scope to enhance and add value. * Four bedrooms, king sized master has ensuite. * Second bathroom and toilet caters to the remaining queen sized bedrooms. * The well designed kitchen has views over the inground pool and out to the private yard. * Open plan family room / dining ( airconditioned ) leads out to the patio where you can relax and enjoy that evening barbecue. * Quite separate, the spacious lounge caters to those more formal gatherings. * Double lock up garage has auto door and internal access. * Great yard for children and family pet to play. If you're looking for location then look no further, this open plan two bedroom unit in the popular Mylos Resort offers entry level opportunity to first time investors, first home buyers or even someone looking for a great weekender or holiday unit in a prime beachfront location. Complete with two bedrooms, one bathroom, open plan living and dining, kitchen with dishwasher oven, ceramic hotplates and rangehood, separate laundry. Spacious living with ocean views and opens to balcony overlooking tropical grounds and beyond towards ocean. Being located in the north east corner gives the unit lots of windows and natural light. Don’t miss this one! It doesn't get any better than this for the Sunshine Coast life style this apartment is comfortable and promotes relaxation and leisure Coast lifestyle! Additional features include ceiling fans, security screens. The furniture is in good condition, with a colour scheme that suits the unit's decor. The Mylos resort offers its residents and their guests full access to all the facilities including: two swimming pools (one with water slide), sauna, games room, BBQ area amongst the lush, tropical gardens, on-site management and secure undercover parking. It has long been a very highly sought after place to holiday and to live, and its design has timeless appeal. Located halfway between Maroochydore and Alexandra Headland's surf clubs and beaches, both are a short, flat walk to the patrolled beaches. Cotton Tree with its funky cafes and boutique shopping is also within walking distance...a great place to have brunch after a morning swim and take a leisurely stroll back to your apartment. Sunshine Plaza is a few blocks down the road, offering cinemas, huge amounts of retail options and also dining. Its location ensures its continual popularity, so investors can be assured of high occupancy rates and a good return on their investment. A young person wishing to enter the property market may consider purchasing why pay rent when you can buy, and then sell when ready to upgrade...just think you'd be able to walk everywhere you want to go! Owner will listen to market, a sale is imminent. Act immediately to secure . Superb 9th Floor position in the Newport Mooloolaba Resort this huge 3 bedroom end apartment will be sold. Prime Mooloolaba Beachside with perfect aspect to capture these amazing views and breezes with large open plan living, dining and entertaining areas all leading to spacious sundrenched balconies. The main bedroom is spacious and has its own large wrap around balcony capturing these amazing river views over the Wharf and the Marina. The third bedroom also features its own balcony which is rare in most apartments. The kitchen is well appointed and perfectly positioned to prepare meals with plenty of space and cupboards. Newport features excellent on Site Management with Tour Desk and Booking Service. Large heated swimming pool, sauna and pool size spa – BBQ with under cover eating area, Secure undercover parking. Just a stones throw to all Mooloolaba has to offer. Pristine Patrolled Beach, Surf Club, the renovated Wharf Complex, Marina and all the prime Mooloolaba position offers. To Be Sold Before or at Auction on Site. Don't miss your chance as this property is truly a hidden gem first time offered to the market and one of best properties you will find on the market in Mooloolaba today! Situated on a large 837m2 block, this home has beautifully landscaped grounds, offers absolute privacy and includes upmarket quality fixtures and fittings inside and out. An immaculate three bedroom brick and tile family home complete with formal lounge, three spacious bedrooms all with built-in wardrobes and luxurious wool Berber carpets throughout. You will love coming home to cook up a storm in your modern kitchen complete with high-end fixtures including an induction cook top, new Bosch dishwasher and slate splash back. Entertaining will be no problem; your kitchen is situated next to a large family room which opens out through to an undercover outdoor entertaining area. Spend your afternoon relaxing outdoors with friends and family, your new home has a beautiful in-ground pool, set in and around the amazing tropical gardens and comes complete with an outdoor tiled pavilion which has access to power and BBQ. Perfectly positioned in quiet cul de sac location within and easy stroll to Mooloolaba and Alexandra Headland patrolled beaches and caf'e's. Properties like this are rare in today’s market, Won't last Inspect TODAY! • Three bedrooms • Bathroom and separate powder room • Modern kitchen induction cooktop • Solar power 2.5kw • Air-conditioned • Sparkling in-ground pool • NBN Connected – ( 2 points) • 3000 gallon water tank + hi pressure pump • Single lock up garage • Side access with double auto gates suitable for boat or caravan. • Full security system • Outdoor Tiled Pavilion with power. This property is truly a hidden gem first time offered to the market and one of best properties you will find on the market in Mooloolaba today! Situated on a large 837m2 block, this home has beautifully landscaped grounds, offers absolute privacy and includes upmarket quality fixtures and fittings inside and out. An immaculate three bedroom brick and tile family home complete with formal lounge, three spacious bedrooms all with built-in wardrobes and luxurious wool Berber carpets throughout. You will love coming home to cook up a storm in your modern kitchen complete with high-end fixtures including an induction cook top, new Bosch dishwasher and slate splash back. Entertaining will be no problem; your kitchen is situated next to a large family room which opens out through to an undercover outdoor entertaining area. Spend your afternoon relaxing outdoors with friends and family, your new home has a beautiful in-ground pool, set in and around the amazing tropical gardens and comes complete with an outdoor tiled pavilion which has access to power and BBQ. Properties like this are rare in today’s market, don’t delay inspect today! • Three bedrooms • Bathroom and separate powder room • Modern kitchen induction cooktop • Solar power 2.5kw • Air-conditioned • Sparkling in-ground pool • NBN Connected – ( 2 points) • 3000 gallon water tank + hi pressure pump • Single lock up garage • Side access with double auto gates suitable for boat or caravan. • Full security system • Outdoor Tiled Pavilion with power. This property is truly a hidden gem first time offered to the market and one of best properties you will find on the market in Mooloolaba today! Situated on a large 837m2 block, this home has beautifully landscaped grounds, offers absolute privacy and includes upmarket quality fixtures and fittings inside and out. An immaculate three bedroom brick and tile family home complete with formal lounge, three spacious bedrooms all with built-in wardrobes and luxurious wool Berber carpets throughout. You will love coming home to cook up a storm in your modern kitchen complete with high-end fixtures including an induction cook top, new Bosch dishwasher and slate splash back. Entertaining will be no problem; your kitchen is situated next to a large family room which opens out through to an undercover outdoor entertaining area. Spend your afternoon relaxing outdoors with friends and family, your new home has a beautiful in-ground pool, set in and around the amazing tropical gardens and comes complete with an outdoor tiled pavilion which has access to power and BBQ. Properties like this are rare in today’s market, don’t delay inspect today! • Three bedrooms • Bathroom and separate powder room • Modern kitchen induction cooktop • Solar power 2.5kw • Air-conditioned • Sparkling in-ground pool • NBN Connected – ( 2 points) • 3000 gallon water tank + hi pressure pump • Single lock up garage • Side access with double auto gates suitable for boat or caravan. • Full security system • Outdoor Tiled Pavilion with power. Perfect Mooloolaba location within easy walking distance to Beaches,;. Shops, Café’ and Restaurants. This brick home offers the ideal opportunity to renovate, extend or build new in the popular sought after Mooloolaba location on a level 615m2 allotment. The home features three good size bedrooms (Master has air conditioning) , bathroom, separate toilet a combined air conditioned lounge dining and plus modern kitchen which opens to large covered outdoor entertainment area and private back garden with plenty of room for a pool. Second shower and toilet adjacent to outdoor are. Easy walk to Mooloolaba State School, Child Care across the street plus one of Mooloolaba’s best little Café’. Don’t miss this one it won’t last make an offer Today! Situated in the tightly held exclusive complex of Emerald Springs, this immaculate townhouse is one of the best positioned units with total privacy and perfectly located conveniently close to shops & a short drive to the popular Mooloolaba beachfront plus PET FRIENDLY, these townhouses never last long on the market. Features at a glance: * 3 bedrooms, main with spacious ensuite & balcony with expansive views * Adorable private outdoor alfresco dining area * Spacious living & dining with polished wooden floors * Double garage plus heaps of storage * Resort style tropical in-ground pool & tennis court in complex * Located in a complex of the most modern townhouses Mooloolaba has to offer * The size of a house The perfect property for the buyer looking for the space of a house but with minimal maintenance. Secure & safe living, close to everything. Inspect today before it's SOLD..
Presenting an excellent opportunity for the astute buyer to acquire a 728m2 (approx.) of absolute waterfront (North Facing ) with jetty and access to the river for the keen fisherman and boating enthusiast. Features two bedroom brick and tile home open plan kitchen and spacious living opens to covered outdoor entertainment area overlooking sparkling inground pool. Property is in Mountain Creek School zone, also close to Brightwater school, shopping and Brightwater Hotel. Five minute drive to Mooloolaba Beach, restaurants and café’s, also short distance to Kawanna Shopping Village. Inspection a must. Located right on the beach with only the sand in your toes between you and the ocean NO ROADS TO CROSS, this amazing apartment is surrounded by tropical gardens and wide manicured expanse of lawns. Complex features three inground pools, underground water tanks and is easy walking distance to Shopping Centre and Kawana Surf Club, plus concrete bike way all the way to Point Cartwright, also short distance to the new hospital, easy access to the Motorway in the busy holiday times. The apartment is spacious throughout and offer wonderful sea breezes, three bedrooms master features ensuite and walk in robe, second bedroom opens to back balcony and could be made to the perfect office study. Kitchen has loads of bench space and cupboards. This complex is the perfect place for the Owner occupier, holiday maker or the astute investor. Close to schools such as Buddina State Primary, Mountain Creek just a short drive away. The complex is well maintained and has excellent On Site Managers. Inspection is a must and I am sure will not disappoint. Your exceptional service and availability without hesitation on your part, to discuss and assist with our queries during the purchase, has and will not be forgotten, for this we are truly grateful. Our recent unit purchase in Alexandra Headland, what we call “Chalet on Alex”, has exceeded far and beyond our expectations. You have helped 3 local sisters reach their dream in owning a unit along the strip of Alexandra Headland. We can now look forward to many a vino, good times, lots of stories and of course plenty of laughs with family and friends in our unit on the beach, Unit 8, “Surf Chalet”, for many years to come. It was an absolute delight to have purchased the unit through you, sign on that dotted line and enjoy a few laughs along the way. Brenda, for all your hard work and persistence to make this happen, us “3 SISTAS” can’t thank you enough!